SWcard23, a photo by philipjbond on Flickr. 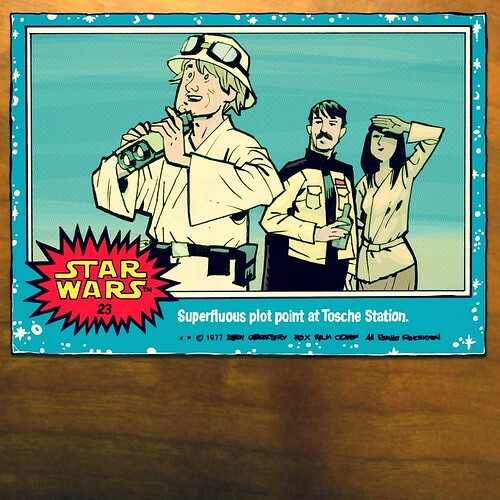 #23 Superfluous plot point at Tosche Station. why is this beyond amazing? It is. Thank you, you made my day.